"While Western atheists turn from belief in God because a tsunami in another part of the world caused great suffering, many brokenhearted survivors of that same tsunami found faith in God. This is one of the great paradoxes of suffering. Those who don't suffer much think suffering should keep people from God, while many who suffer a great deal turn to God, not from him." 1. Randy Alcorn, If God is Good, p. 102. Video: Is Jesus a Copycat Savior? As I have argued elsewhere, the claim that Jesus is a "copycat" savior is popular on the internet, but virtually dead within biblical scholarship. In this brief video, J. Warner Wallace explains how to reason through this claim. For more from J. Warner Wallace, see here. For more from the One Minute Apologist, see here. You can hear my treatment of this topic here. Over the weekend I accepted Chase Deener's "Pie-Life" Challenge and I would like to publicly call out Rob Welty, Chad Vaughn, Roger Adlon and Ron Nobles to do the same. If you don't know what the "Pie-Life" Challenge is, watch the video! During the summer, Nabeel Qureshi sat down with Haven Today to talk about his book Seeking Allah Finding Jesus which describes his journey from Islam to Christ. In the five part series, Nabeel talks about his book, Ramadan, what it is like being a Muslim in America, a little about what God is doing in the lives of Muslims and more. Each part can be listened to from the following links: Part 1; Part 2; Part 3; Part 4; Part 5. What Does it Mean to Say God is Infinite? 1. An actually infinite number of things cannot exist. 2. A beginningless series of events in time entails an actually infinite number of things. However, this often raises the question, "If an actually infinite number of things cannot exist, how can God be infinite as theists claim?" 1. To learn more about the Kalam cosmological argument, checkout this outstanding short video. 2. William Lane Craig, Reasonable Faith, 3rd Ed., p. 116. 3. Ibid., p. 119; Emphasis mine. Dr. 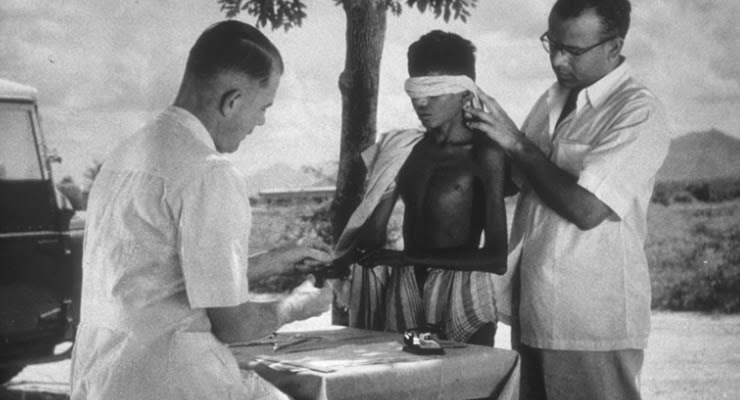 Brand was the first physician to recognize that leprosy did not cause the loss of tissue, but is actually the loss of sensation that makes sufferers susceptible to injury. As the culture war continues to heat up, homosexuality continues to take center stage. It seems that one cannot even share an opposing opinion on the topic without being labeled "bigoted" or "homophobic." 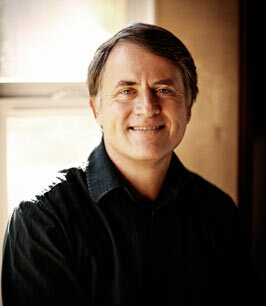 In this featured talk, apologist Sean McDowell works through a number of Bible passages to explain the biblical view of homosexuality. Sean also gives helpful advice on how the follower of Jesus can address this issue in a Christ-like manner. I had the pleasure of attending the Mt. Airy "Defending the Faith" Conference this past weekend and heard an excellent lecture given by Marvin Patrick entitled, "Three Gods or One? Defending the Trinity." I agree with those who hold that the Trinity is unique and there is nothing that one can point to that is a strict analogy or parallel to it; however, I find the above analogy helpful in demonstrating that the Trinity is not self-contradictory or illogical. What do you think of the analogy? What is your favorite analogy of the Trinity? Sound off in the comments below! 1. Peter S. Williams, Understanding the Trinity, 2012. 2. How did you come to that conclusion? 3. Can you clear this up for me? When talking to pastors and church leaders I have noticed that sometimes they are not sure how to share apologetics from the pulpit. The following are examples of how apologetics can be shared with a Sunday morning congregation. In this video Dr. William Lane Craig shares at a pastor's conference why all Chrisitans need to be trained in apologetics. This is an outstanding message to send to your pastor or youth pastor. 1. As quoted by Charlie Campbell here. There are five gospels: Matthew, Mark, Luke, John, and the Christian. But most people never read the first four. Conway spoke about five ways, based on his reflections of Matthew 5:13-16, by which the follower of Christ can be that fifth gospel. 1. Serve as cultural preservers (i.e. preserving culture from moral decay). 3. Focus on standing out not fitting in. 4. Seek to awesomely display God’s greatness. 5. Aim to see others powerfully glorify God. This book sounds like it will give the follower of Jesus practical ways to not only speak apologetically but live apologetically. 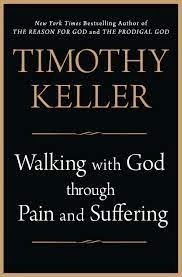 Dr. Keller begins this chapter with the narrative of Joseph from Genesis, then asks, “What does this have to do with how we face disappointment, pain, and suffering? Everything.” In all those years when everything was going wrong for Joseph, wasn’t God there? Of course he was, and he was busy. He was hidden, but he was in complete control. Just think about what would have happened had Joseph not ended up in Egypt? The spiritual corruption that would have occurred to Joseph and his family – not to mention the starvation of so many people. Joseph would have been devoured by his pride, his brothers by their anger and their father by his idolatrous love for his youngest sons. After twenty or so years of silence for his prayers, Joseph, in a dungeon, seeks God’s help to interpret a dream. He is still trusting God. His relationship with God has remained, and we must do the same. [There] can be no settled peace till our will is in a measure subdued. Hide yourself under the shadow of his wings; rely upon his care and power; look upon him as a physician who has graciously undertaken to heal your soul of the worst of sicknesses, sin. Yield to his prescriptions, and fight against every thought that would represent it as desirable to be permitted to choose for yourself. I cannot help but continue with the words of Dr. Keller himself. “Imagine you have been an avid follower of Jesus. You’ve seen his power to heal and do miracles. You’ve heard the unsurpassed wisdom of his speech and the quality of his character. You are thrilled by the prospect of his leadership. More and more people are flocking to hear him. There’s no one like him. You imagine that he will bring about a golden age for Israel if everyone listens to him and follows his lead. But then, there you are at the cross with the few of his disciples who have the stomach to watch. And you hear people say, ‘I’ve had it with this God. How could he abandon the best man we have ever seen? I don’t see how God could bring any good out of this.’ What would you say? You would likely agree. And yet you are standing there looking at the greatest, most brilliant thing God could ever do for the human race. On the cross, both justice and love are being satisfied – evil, sin, and death are being defeated. You are looking at an absolute beauty, but because you cannot fit it into your own limited understanding, you are in danger of walking away from God. Don’t do it. Do what Jesus did – trust God. "How do you reach a generation that listens with its eyes and thinks with its feelings? I believe the strident attacks of the antitheists and other factors such as globalization have made apologetics and critical thinking an indispensable need for our times. Thus, we must understand the other worldviews we encounter and be a patient listener to someone of another faith. But first we must know how to defend our own beliefs, for if we cannot answer the skeptics’ genuine questions, we will confirm in their minds the faulty idea that Christianity is intellectually flawed. So it is important to know how to defend what we believe and to do this with gentleness and respect, recognizing the significance of God’s transforming grace in our own lives." 1. Ravi Zacharias, "Think Again: The Gentle Goldsmith," Dec. 14, 2012. In a recent interview, famous scientist Stephen Hawking has openly admitted to being an atheist. I'm not sure why this is such a surprise, especially to those who read Hawking's latest book The Grand Design. As I have mentioned before, I would like to ask how something can come from nothing. If we are speaking of "nothing," in the correct philosophical sense, then how could the law of gravity be included in the so-called "spontaneous creation" of the universe? That would be something rather than nothing. Regardless, I thought this was a good time to feature John Lennox's lecture entitled "A Matter of Gravity: God, the Universe and Stephen Hawking." As I have noted in other recent posts, sometimes it is necessary for the Christian case maker to make a case for apologetics. 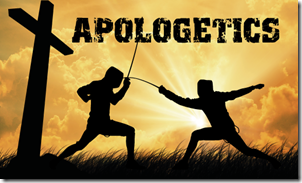 One common objection sometimes offered by those who are opposed to apologetics is the claim that apologetics doesn't really work. I have written before about how I have seen apologetics work in the lives of unbelievers here. In this featured article, J. Warner Wallace tells how his book Cold-Case Christianity [Our review is here.] helped a once atheist trust in Christ. Further, he offers tips about how to reach the skeptics in your own sphere of influence. Brett Kunkle hosted this Google hangout this past Thursday as a follow-up to Stand to Reason's reTHINK Conference on the 26th and 27th of September. Enjoy! Luther and the German Reformers believed that the churches teaching that salvation is merited through patience under suffering led to a paganistic stoicism and therefore sought to restore a biblical approach. Unfortunately, what resulted was a culture in which Christians were taught to demonstrate their faith through unflinching, joyful acceptance of God’s will. Questioning God, like Job, was considered sinful. Job expressed himself with strong emotion and rhetoric and did not pray politely to God. He was brutally honest with his feelings. I Kings chapters 18 – 19 tell the narrative of Elijah, a great prophet who is despondent, even suicidal. He is a human being who is capable of taking only so much disappointment, opposition and difficulty. He is not handling his stress very well. He doesn’t say “I’m rejoicing in the Lord.” No, he wants to die. And how does God respond? He sends an angel. Not to scold him or tell him to rejoice or even ask probing questions, but to touch him and feed him. It is later that God comes to him and challenges him out of his despair. Unfortunately, the church is seldom seen today as a place where those suffering have the freedom to weep and cry out to God, “Where are you? Why won’t you help me?” In Psalm 88 we learn several things about dealing with suffering. First, the Psalm ends without any note of hope. It is possible to be praying faithfully and enduringly with no improvement in our circumstances. One can live right, yet remain in the darkness of difficult circumstances or spiritual pain. Next, continuing struggles can reveal God’s grace in new depths. We can lose our temper and speak irreverently to God, yet he understands. Our God is still our God, not because we put on some happy mask and reel in our emotions, but because of grace. We need to be afraid to be candid and express ourselves honestly with God. Finally, in unrelenting times of darkness we have the opportunity to truly defeat the forces of evil around us by choosing to serve God just because he is God. There is no opportunity to give service because of something we have been given or are expecting to receive. We can serve him because of who he is and we can trust him. Jesus suffered the ultimate darkness for us, who better to trust in our own times of darkness? Did Jesus really exist? If so, what can we know about Him historically? For any Christian, the historicity of Jesus isn't merely a matter of curiosity. The Christian faith is dependent upon the incarnation, life, death, and resurrection of Jesus as historical reality. But how can we know if the Jesus of the the Gospels is historical or legendary? Jesus of Testimony answers many of the important questions for skeptics as well as Christians in the area of Christian apologetics. In Part 1: Lord or Legend, the historicity of Jesus Christ is demonstrated by the important non-Christian historical sources that are available to us today. Part 2: Are the Gospels Reliable? examines the historical reliability of the Gospels as eyewitness testimony to the life of Jesus. Part 3: Miracles provides strong evidence that miracles happen today and happened in history. In Part 4: The Testimony of Prophecy, many of the Old Testament messianic prophecies are quoted along with their New Testament fulfillments which establish a solid confirmation of Jesus' credentials as the Messiah. In Part 5: The Resurrection -- Fact or Fiction? the case is presented for the resurrection of Jesus Christ from the dead. 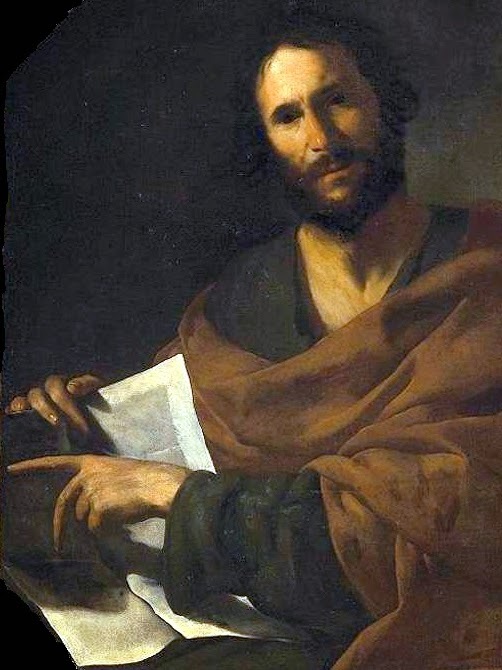 Finally, Part 6: The Good News concludes that the portrayal of Jesus in the Gospels, dependent on eyewitness testimony, is more plausible than the alternative hypotheses of its modern detractors and presents the Jesus' message of the Gospel. 1. Documentary description originally found here. 1. English Standard Version Bible, John 1:18. You can learn more about Weikart's work here. 1. Text originally found here.